Greg Brueshaber, owner, wanted to put together a program for customers because plumbing can be expensive and shopping for a plumber can be a scary decision. This plan is designed for the single person, young couples, middle age, and those on a fixed income so they may have the protection, security and peace of mind when they need plumbing services. Greg wants plumbing to be affordable for his customers no matter the size of the job. Greg is a serious professional and takes pride in his workmanship, time to complete each job, and service to his customers. You can trust us - Service is our business! 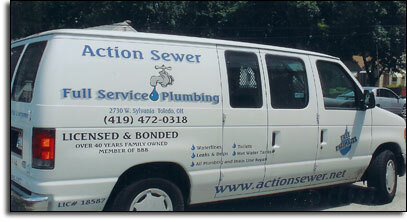 To find out how Pre-Paid Plumbing works, call and ask for Greg!